From The Braiser: “He may be a vegetarian, and therefore The Enemy, but co-anchor of Nightline, Chief Legal Affairs Anchor for ABC News, and, of course, The Braiser’s bossman Dan Abrams is teaming up with best bro David Zinczenko for another restaurant venture, and they’ve just announced who the new exec chef will be. 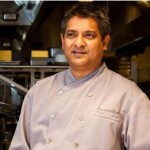 Does it surprise anyone that it’s the guy who miraculously won Top Chef: Masters Season 3 while also refusing to cook meat?Yes, Floyd Cardoz has just been named executive chef and partner of White Street, previously reported as being farm-to-table-focused, now advertised as “American food with global touches,” opening in Tribeca. 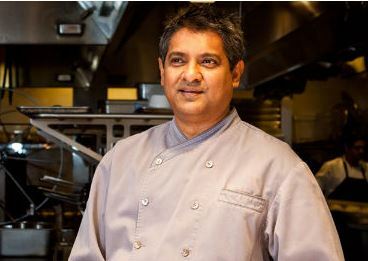 Floyd is formerly the chef behind Danny Meyer’s North Indian restaurant Tabla, the closing of which was the only thing sadder than Union Square Cafe losing its lease. You may remember Dan and Dave from such restaurant ventures as the “celeb studded” West Village spot The Lion, where John DeLucie is the head chef and co-owner. White Street is slotted to open this fall.” Read the full article here.